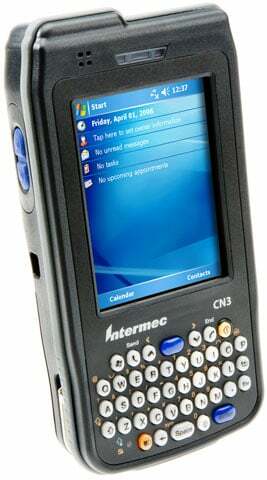 Designed to meet the needs of workers performing mission-critical tasks in transportation, logistics and field service, the Intermec CN3 mobile computer delivers a powerful combination of communications technologies in a compact, rugged package. With standard Wi-Fi, Bluetooth and choice of integrated, network independent GPS receiver and WAN voice and data services (including 3G EV-DO or EDGE), the CN3 enables companies to stay connected with their mobile workforce in real time, driving improved efficiencies and increased asset visibility across their operations. The CN3 provides access to information at the point of work, allowing companies to dynamically deploy the right resources to the right location, and enabling their mobile workers to tap into the information they need to work most effectively. The Intermec CN3A1K840C6E300 is also known as Intermec Technologies	INT-CN3A09	.